The University of Oregon's football team may have suffered an unexpected loss on Saturday night, but by Sunday morning, all eyes had moved to the state's Malheur National Wildlife Refuge. There, a so-called "militia" had gathered, as the group of armed protesters in Oregon occupied the federal wildlife refuge. The protesters have vowed to remain peaceful unless provoked, but as per usual, there is debate over why the protesters are there, why they feel the need to be armed in the first place, and what implications their weapons have on the situation. On Saturday, hundreds of protesters descended on the small town of Burns, Oregon, near the Malheur National Wildlife Refuge, according to local NBC affiliate, KTVZ. The protesters, led by 40-year-old Ammon Bundy, gathered to oppose the prison sentences given to a pair of ranchers who were convicted of committing arson several years ago. The father-son pair, 73-year-old Dwight Hammond and 46-year-old Steven Hammond, are set to return to prison on Monday for about four years each. In 2001, they set fire to their property to protect it from invasive plants, but the fires spread to government lands. The fire was ruled arson because the government believed that it was meant to cover up poaching activities on the lands. Now, supporters of the Hammonds seem to be taking the case to new extremes, taking over the federal lands southeast of Burns while facilities remain closed for the holidays. 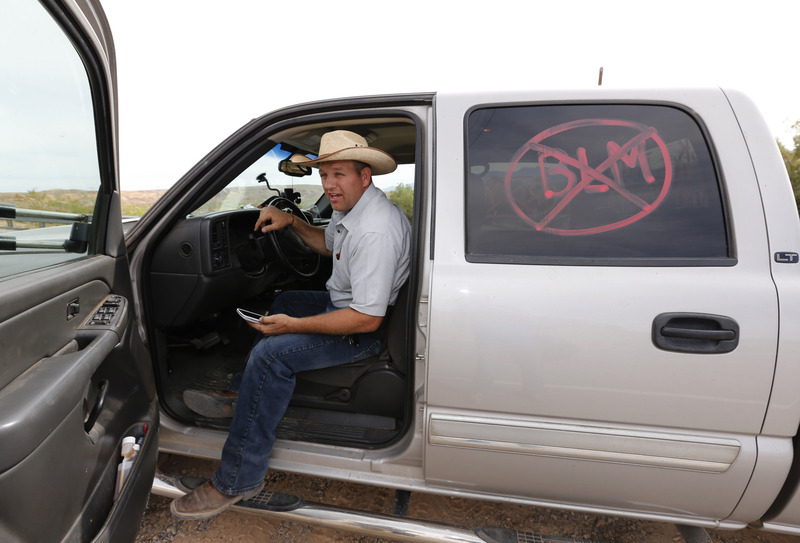 However, the Hammonds' lawyer said the Hammonds did not ask for this, stating, "Neither Ammon Bundy nor anyone within his group/organization speak for the Hammond Family." Although the situation in Oregon has been rapidly unfolding since Saturday, members of the public have noted that the official response from the government (and even coverage from the media) is unfolding noticeably slowly. Given the frequency with which we've become accustomed to seeing protests of this scale, thanks largely to tragedies in Ferguson, Missouri, and Baltimore in recent years, it's not unreasonable to expect a state of emergency to be declared or the National Guard to be deployed to the area to handle an armed protest by hundreds of people. So far, the acting U.S. attorney in Oregon declined to comment on the situation on Saturday, according to CNN. Another point of controversy has come from the name that many media outlets have adopted for the protesters. They're largely being called a "militia," whereas many members of the public see the group's activities as terroristic in nature. The hashtag #OregonUnderAttack was trending on Sunday morning, with many users voicing concerns in that vein. Certainly, nobody wants to throw around the word "terrorism" lightly, and it's important to note that no violence from the group has actually been reported yet — but the word "militia" doesn't necessarily imply peace, either. For its part, the group of protesters doesn't see its actions as terroristic. A leader of the group, Bundy told CNN on Sunday, "We are not terrorists. We are concerned citizens and realize we have to act if we want to pass along anything to our children." Bundy also said that the group is prepared to stay in the area "as long as it takes," but that the protesters have no intention of using violence, "but if force is used against us, we would defend ourselves." For the sake of our violence-weary society, let's hope it doesn't come to that.